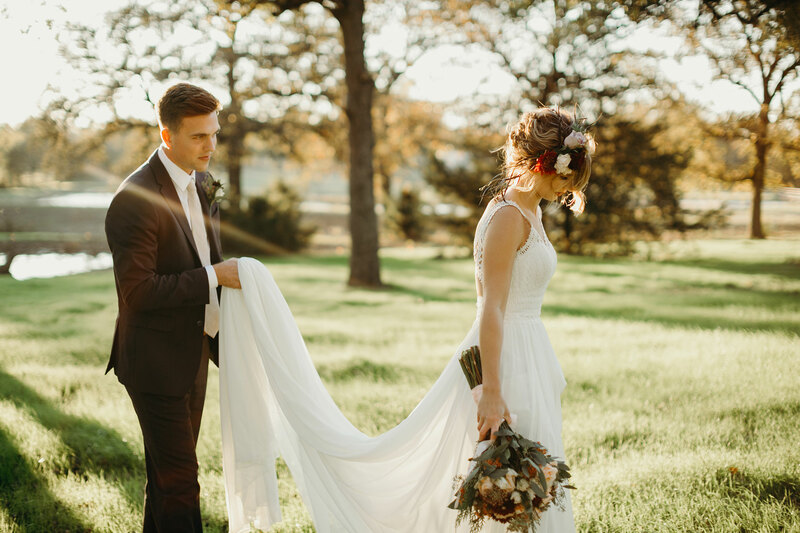 Oak + Ivy is here to enhance a bride’s vision, to assist in the comfort level of everyone involved in the preparations for the big day, and to provide ample space for even the largest guest list! Love of family drives us and our passion is fueled when we here at Oak + Ivy are privileged to share in the beginnings of two people and two families joining in a lifetime of love. 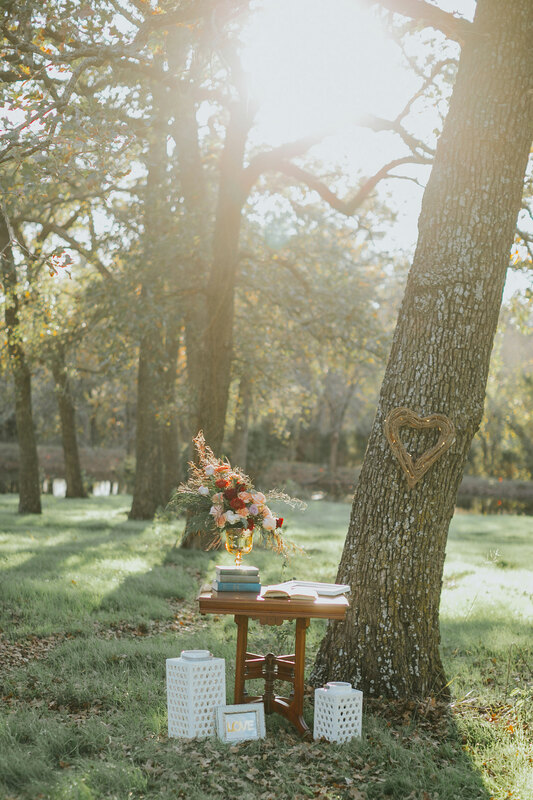 The expansive grounds of Oak + Ivy allow the bride and groom complete freedom to plan their ceremony either at sunset with the sun lazily drifting behind them, or under the stars of a limitless Texas sky, or perhaps in the shade of a beautiful Aubrey afternoon. 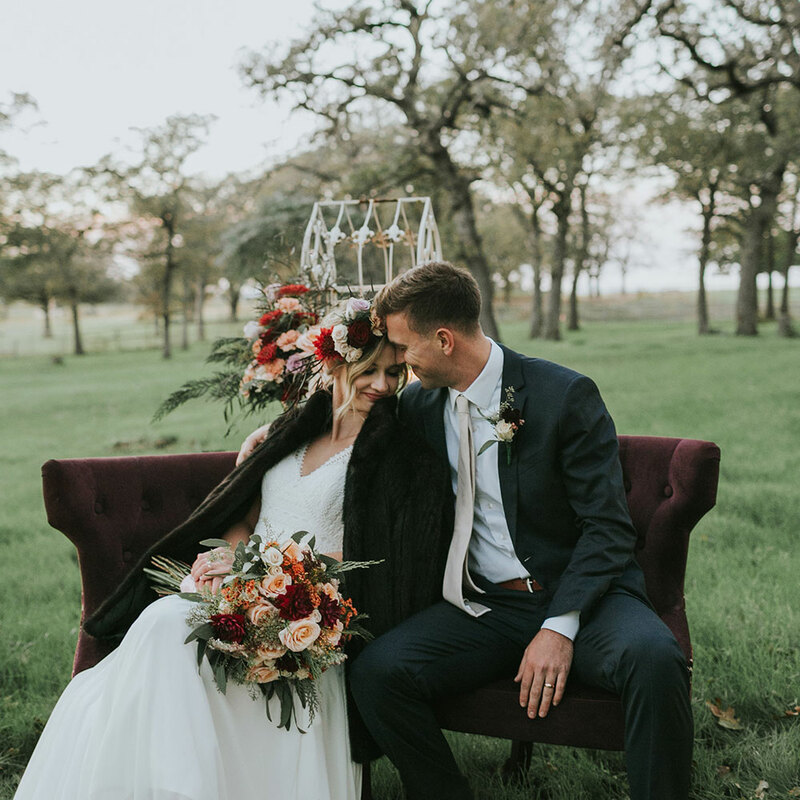 With 11 acres of heavily canopied space and several ponds, a barn designed with a bride’s dreams at its essence and our hopes of making dreams come true, we invite you to come tour Oak + Ivy and chat with us about your wedding day dreams. 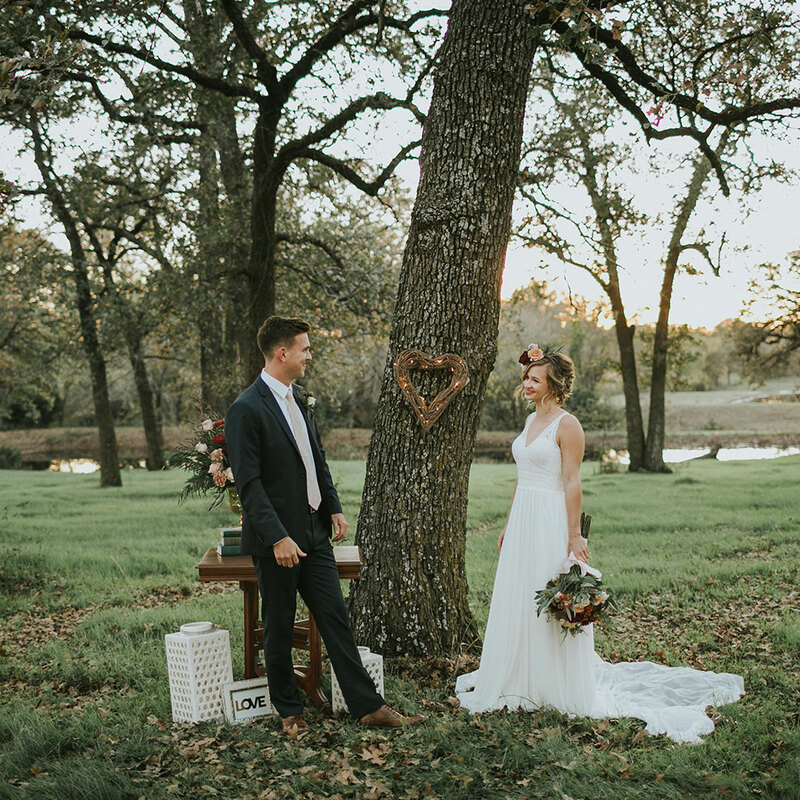 Our large white barn is ideally situated in the center of towering, mature oaks on one side and a sprawling meadow on the other, providing plenty of space for ceremony and reception options. This French Country inspired barn offers a large “Great Hall” with impressive 42 ft ceilings adorned with elegant chandeliers to capture the beauty of an evening soiree. Or if your dream is a morning or afternoon affair, the hall’s stately windows invite the sun’s light in illuminating the barn’s tasteful décor. Every bride’s creative vision will be showcased by our neutral color scheme and casual yet elegant backdrop. will feel equally welcomed in the groom’s suite for a day. The hallmark of this suite is the game room where the gentlemen will have plenty of room for entertainment and a full bathroom with a shower. Furthermore, we have two built-in bars, one up-stairs and one down-stairs, a large and well-functioning catering kitchen and plenty of bathrooms to accommodate every guest. Another treasured feature of Oak + Ivy is our pavilion, complete with a spectacular stone fireplace. This impressive covered open-air space accommodates the desire for both an indoor and an outdoor experience and is positioned with easy access right outside the door from the first-floor bar area. Perfect for a sunset cocktail hour or a covered outdoor ceremony – the pavilion is a signature element of this grand facility that will be fondly spoken of in wedding memories soon to be made. Bud and Brenda Baker have combined their gifts, talents, and passions, to build this wedding venue. Bud, whose experience includes 30+ years in Corporate Real Estate combined with a degree in Architecture, is the General Contractor and Jack of All Trades behind the design, layout, and construction of this beautiful facility. His experience merged together with his passion and love of the outdoors, is a perfect partnership for this new business. 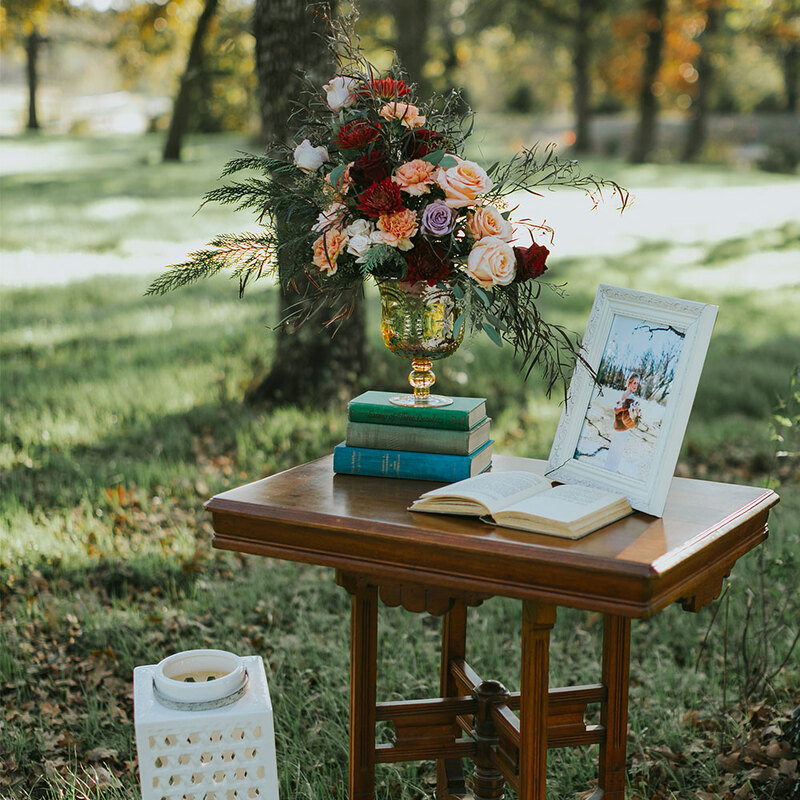 Brenda, an interior and floral designer, has been involved in the wedding industry for over 10 years. She has dreamed of owning a wedding venue and has put her experience, her design touch and a lot of love into this venue. Bud and Brenda have been married 30 plus years and have a deep and abiding love for family. We believe that God builds families and with his guidance we would love to continue to support and encourage the coming together of families and the building of the foundation of new families. Our goal is to help to make every bride and groom, and their families’ wedding day their best day ever. Oak + Ivy is a venue that can accommodate all types of celebrations. 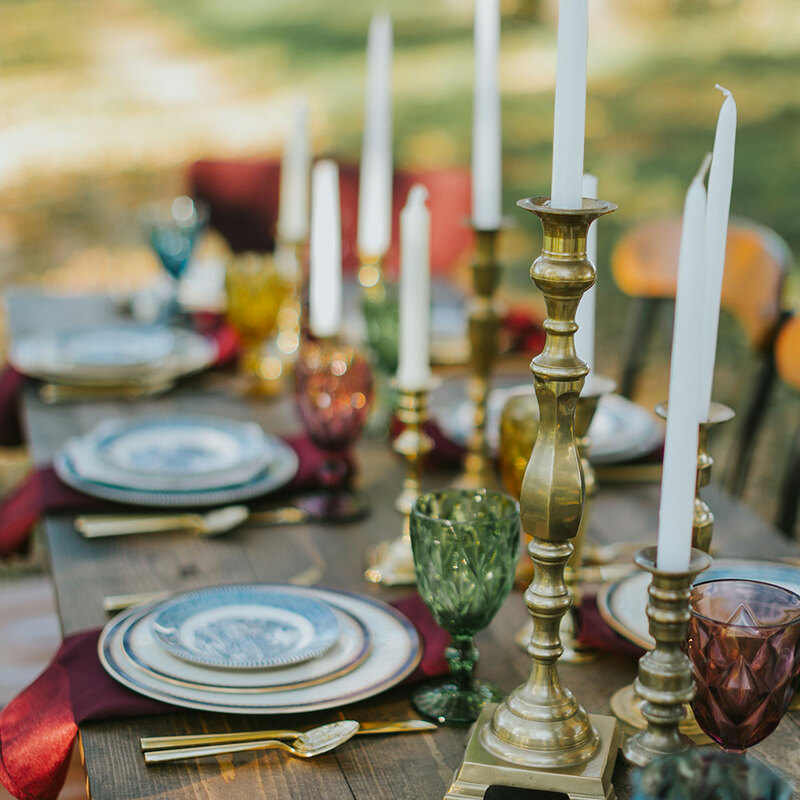 Let’s discuss your next event!